We are offering AC Frequency Drive , Yaskawa AC drives(VFD), delta AC drives (VFD ), Mitsubishi and control for various application. We are offering AC Frequency Drive ,Yaskawa AC drives(VFD), delta AC drives (VFD ), Mitsubishi and control for various application. 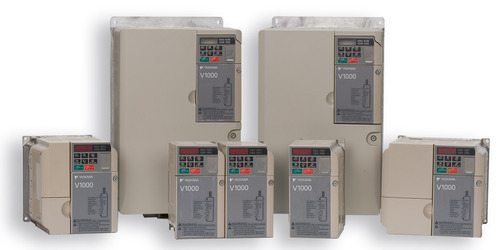 Yaskawa AC drives Yaskawa drives offer variable frequency inverters, industrial AC Drive, VFD, F7, V7, P7, G7, J7, A1000, J1000, V1000, adjustable speed inverter. yaskawa is the world’s largest manufacturer of ac drives and motion control products, including adjustable frequency drives, servo amplifiers, servomotors, machine controllers, and motion controllers. Managed by a team of highly dedicated and immensely talented technicians, we have surpassed our counterparts by maintaining client-centric approach. In order to continue the same tradition, we have been offering quality bound services for more than 20 years. Our range includes CNC Machine Card Servicing, Drive Repairs, VFD Repair, Servo Drive Repairs, Power plant equipment ,Medical device , CNC Boards Repair, Servo Controllers Repairs, Servo Motor Repair, Encoder Repair, DC Drive Repair, PLC Repairs, Spindle Drive Repairs, Industrial Power Supply Repairs, Robotic Card - Controller Repair, Electronic PCBs Repair & Reconditioning, Telecommunication Equipment Repair, Processor Boards Repairs, Industrial Monitor Repair, Industrial Motor Repair, Servo Motor and CNC Machine Control Cards Repair. We maintain a large inventory of electronic components and ICs. Our technicians thoroughly analyze and diagnose the reason behind the failure or damage of the appliances. The components repaired by us are twice as good as the damaged products in terms of their quality. Our repaired products carry a default 30 days warranty unless otherwise stated. We ensure minimal turnaround time for rendering our services. complete solutions for repairing,testing, and maintenance of high value electronic Printed Circuit Boards (PCBs) & modules and solving obsolescence issues or re-manufacturing obsolete circuits.